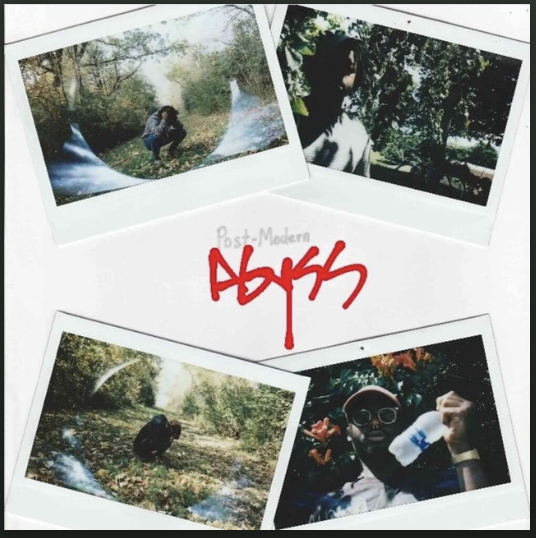 King Myles has some dope in-house collaborations from Hiii Tribe Collective, and special features with Mitch Pe$oz, Shle Berry and Sparkus, just to name a few. "Horizons" is available on HiiiTribe.com or on all streaming platforms. You can find the King Myles online EPK at https://www.hiiitribe.com/kingmyles. Today’s music submission comes from Nile with one of his latest ep’s “Post-Modern Abyss.” We think the entire ep is great to listen to, but our personal favorite is the second track, “Kismet.” The chords in the song are beautiful. Also, the production is smooth and soft, a little slower than the rest of them, but it works for what he’s talking about in the song. “Post-Modern Abyss” is available on all streaming platforms. We suggest you listen to it and let us know what y’all think! Have you ever watched a music video and immediately knew it was a hit, like a legit bop? That’s exactly how we felt after watching Satori IV’s video “Took A Risk.” The production of the video itself gets a round of applause and not one, but two hand claps, OK! The black and white visuals really gives it a vintage feel, making the few scenes of color really pop and stand out. And we can all relate to it because c’mon, everybody gotta take a risk sometime! You can find “Took A Risk” on all platforms. And make sure you support Satori IV’s upcoming project, Underdog Season, dropping this month. Now add this song to your playlist, get in ya car and ride out! Today’s submission is from the talented Tae Spears and when y’all hear this...whew chile...can we say relatable?! Tae Spears has created a beautiful introspective story in his latest video titled "Night Cap." This is a great display of romance and lust with clear vivid imagery, soft sensual lighting and a close visual of Tae and his main character played to be his wife. Coupled with lyrics that flow through a male's internal rationale of losing the one he loved through his own bad decision making. How many fellas can relate? All in all, this video is definitely one with amazing replay value, thanks to the combo of Tae Spears and Damien Blue. The new era of Indie Pop is here with the Milwaukee music group Clear Pioneer! The members, Grant Clementi, Jesse Carl, and Kyler Schmor, have made their way on our radars since winning multiple talent showcases in 2018. If you don’t know them yet, you’re going to want to because they are on the rise. You feel me? #youfeelme. “Sometimes we don’t realize what we have until it’s gone. Solitary is a song that describes the struggle between our natural ability to Love, yet the rejection of that same Love. An endless battle within oneself until something valuable is lost. It's only then do we feel the regret. Solitary is available on all streaming platforms and will be featured on Kaylon's upcoming debut EP entitled "Everything In Between", which is set to be released on October 23rd, 2018. Milwaukee-native, Kaylon Raps, aims to move a culture with paradigm shifting messages to excite and inspire the listener's ear. His journey towards reshaping the identity of a culture through music began when he was 21. Kaylon crafted his first mixtape in the Fall of 2012 (Despite Opposition Vol. 1), followed by the release of Despite Opposition Vol 2, in December of 2014, known most notably for the track “Jesus Piece” which gained over 25 thousand listens when featured by Rapzilla, showing early on, that Kaylon was an MC to be reckoned with. We at The Elements Podcast are honored to announce our new partnership with CopyWrite Mag. Through hard work and a commitment to Milwaukee's Hip Hop scene together we will be able to make big things happen for Hip Hop and for Milwaukee. As we continue to support the local we will now be vocal in our partnerships to further connections in our community and to bring light to the real bonds that have elevated the Urban creative scene in MKE. We are MKE Hip-Hop! ...and this song has us listening! 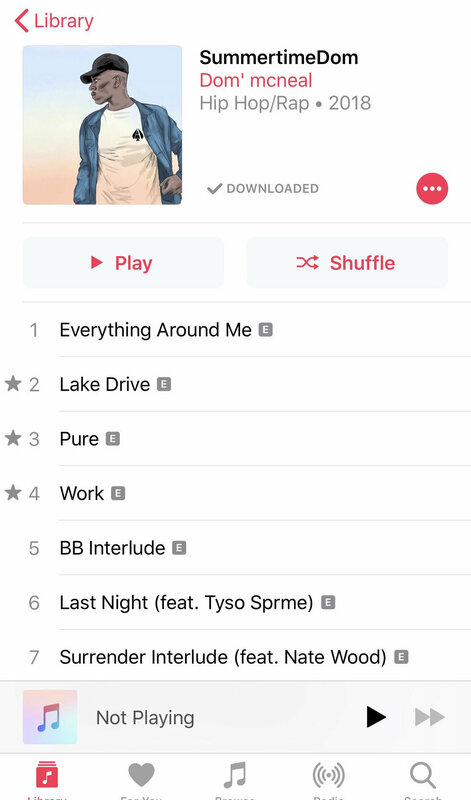 ‘Lake Drive’ is the second track from McNeal’s latest project ‘SummertimeDOM’ and it’s a song we can all relate to -taking those summer drives to the lake with ya boo, just chillin’. But also the idea of us all having dreams and wanting the most out of life. The production of the song is smooth with melodic snares carefully placed within the beat for a nice soft touch. And we can’t forget to mention the dope visuals of the downtown 414 skyline in the background. Dom McNeal’s project is available on all streaming platforms, make sure you check it out! In 2013, the House Of Renji was founded as a means to propel the careers of young creatives in the city of Milwaukee. During our 5 years of existence, growth and expansion CopyWrite Magazine has been there the entire way. Every step, every song, every tour, and every moment has been thoroughly documented and shared by the family we have in CopyWrite. We’re pleased to announce our official partnership with CopyWrite Magazine in hopes that everyone will view this long term relationship as an inspiration and example of what is possible between not only companies, but people, who believe in the same ideals and have the same goals in mind. Here’s to everything urban, respect. As we continue to support the local we will now be vocal in our partnerships to further connections in our community and to bring light to the real bonds that have elevated the Urban creative scene in MKE. If there were ever any doubts, let it be clear, The Dynasty Lives! It’s October! Which means it’s officially time to put away your summer clothes and pull out the sweaters and jackets. I’m sure these brisk and gloomy days in the Mil have put us all in #ChillMode lately, but this soft song will be a great refresher to help you get through these rainy days, while also putting a little pep in ya step during this crisp season. Shoutout to Valerie Lighthart for sending us her song “I’ll Be Damned”, produced by Immortal Girlfriend, and for attending our recent #InstaMeetMKE at Company Brewing. This song is available on all streaming platforms and you can look forward to her EP this Fall!